Umbrella Roofing Systems, Inc. specializes in flat and low-sloped roofing for commercial and industrial businesses. Many of our repeat customers include apartment buildings, commercial businesses, churches, manufacturers, medical facilities, schools and retail shopping malls. When a financial institution selects Umbrella Roofing Systems, Inc. to install a Duro-Last roof, they can expect a quality and fast installation of their roof. Parishioners can have confidence knowing that Umbrella Roofing Systems, Inc. has met or exceeded their expectations for a quality installation that will last for many years to come. By using Umbrella Roofing Systems, Inc., our commercial clients know that they are getting a quality long-term roofing solution with little to no impact on daily business operations while the roof is being installed. 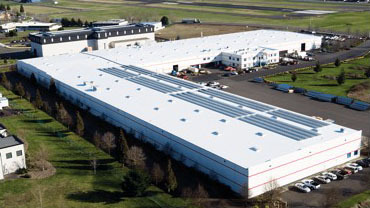 Industrial buildings typically have large areas that are designated for manufacturing. We find that many industrial complexes have multiple buildings and roof types with a wide range of ages as the operation expanded over time. Medical clients often need to schedule exact times to meet with contractors or have any work performed. They turn to a trusted roofing contractor like Umbrella Roofing Systems, Inc. to respond to their unique needs and requirements. Often, on a single property, we will find several businesses with divergent usages. Umbrella Roofing is able to tackle this unique challenge of retail properties. More and more schools are turning to Duro-Last, partnered with Umbrella Roofing Systems, Inc., to provide quality roofing for their school buildings.